As the year wraps up, we find ourselves looking forward to the long-awaited and hard-earned break. While the festive season is a time to be merry with family and friends, people who suffer from TMJ headaches are left feeling miserable and weighed down by the pressure of the looming pain. Our team at TMJ Centre Melbourne want to help you avoid the suffering by providing you with a few tips to temporarily relieve TMJ pain. What is TMJ and do you suffer with it? 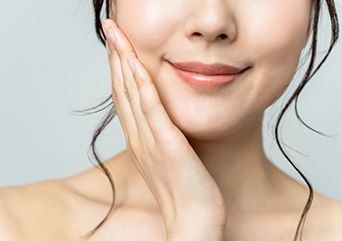 How can you avoid TMJ this festive season? It probably makes sense that crunchy foods are harder to chew and, therefore, may aggravate your TMJ pain. But did you know that the nutritional content of the foods you eat may also impact your condition? Increase anti-inflammatory foods, such as fish which are high in Omega-3, whole grains, dark leafy greens and soy. Increase intake of foods such as ginger, turmeric, and blueberries as they are known to be powerful anti-inflammatories, and also good for your immune system! Omega-3 containing foods like salmon, trout, and tilapia can help fight inflammation, ease pain, and protect your heart. Increase foods that contribute to joint health, including foods rich in vitamin C, vitamin E, magnesium and selenium. High-impact foods: Avoid foods that make your jaw work harder, such as hard bread, nuts or candy. Also avoid chewy foods, such as steak or bagels. Inflammatory foods: Avoid foods that can fire up joint pain, such as processed foods, sugars or refined carbohydrates, alcohol and tobacco, salt and corn oil. Gum: This isn’t a food, but frequent gum-chewing can lead to chronic jaw pain. Give your jaw a break! Aggravating foods: Avoid foods that aggravate your jaw joints and muscles. Just pay attention to your body and, if it hurts, stop eating it. Try to get into the habit of sitting up straight instead of leaning forward or slouching. Ensure that your back is well supported at all times. The reason for this is when you are sitting forward, you add strain to your neck and back that has to support you. This can contribute to jaw pain as the muscles are connected. We all get into the habit of cradling the telephone receiver between our shoulders and ear, especially when we are trying to multitask. This small action puts a strain on your neck and jaw. If you are in the habit of doing this, try to invest in a handset. Custom neuromuscular orthotics are very different in function to splints, mouth guards or bite plates. Orthotics allow the muscles to relax and maintain ideal joint function, therefore helping eliminate pain, clicking and locking. These devices are designed to be as invisible, accurate and as thin as possible using CAD/CAM technology. Dr Meetal Shah often prescribes Neuromuscular orthotics at the TMJ Centre Melbourne. Practice jaw exercises like gently placing your tongue behind your upper front teeth to relax your jaw. In order to relieve muscle strain and promote blood flow, try massaging the areas around your jaw. During this massage, open your mouth slightly and rub the muscles near your TMJ joint. You should also try massaging the muscles on the sides of your neck. Those muscles don’t directly control your jaw, but by massaging them you help to reduce the tension that contributes to jaw pain. Sleep on your back or side. If you’re on your stomach, with your head turned to one side, the misalignment leads to neck strain that’s transferred to your jaw. 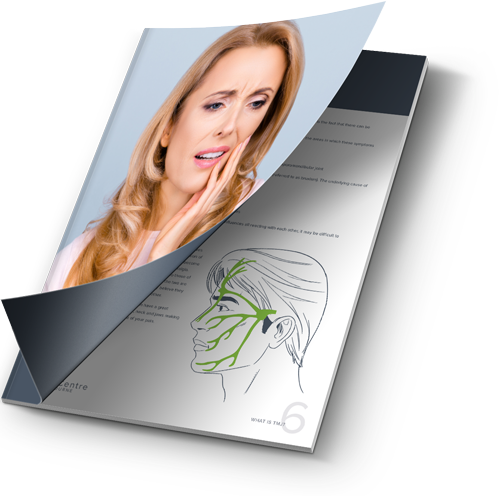 The best and most effective way to diagnose and treat TMJ headaches is by visiting a specialist. Contact us today.